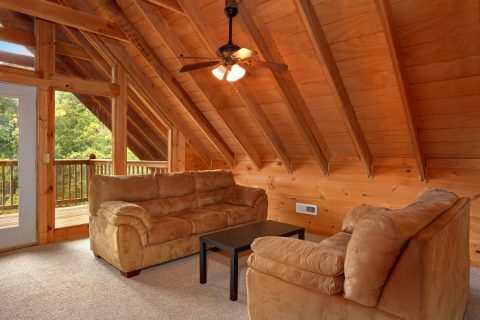 Searching for a cabin rental with comfortable amenities and a prime location for exploring Pigeon Forge and Gatlinburg? 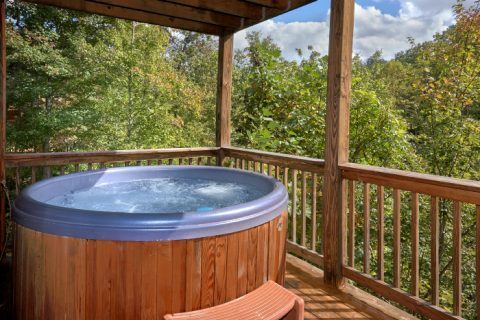 Look no further than "Falcon Crest" only minutes away from Pigeon Forge, TN! 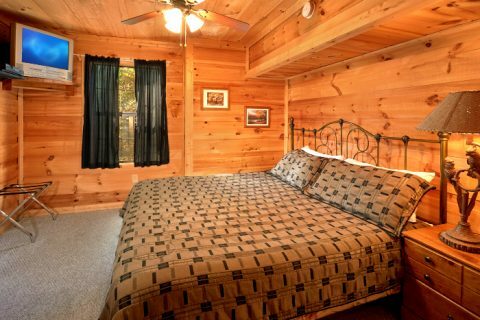 This 3-bedroom cabin sleeps up to 8 guests in comfort. 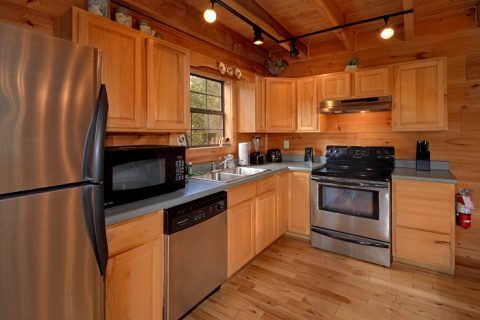 These spacious accommodations make this rental a great fit for family vacations or a small gathering of friends. 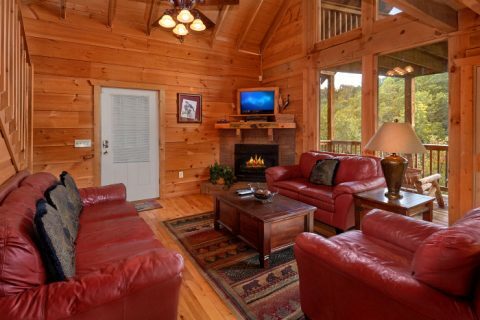 No matter the occasion, your cabin offers great amenities to make your stay relaxing, carefree, and fun. 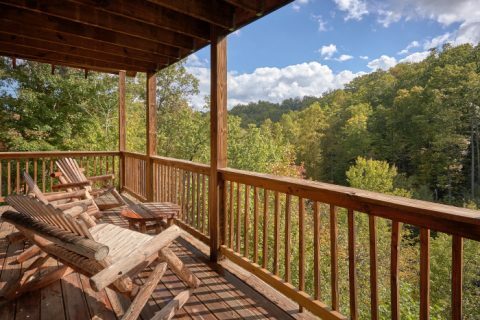 From this rental's prime location in Sky Harbor, your cabin nestled in a wooded setting offers quick access to both Pigeon Forge and Gatlinburg. By taking the Spur Road, you can easily reach attractions like Dollywood, Downtown Gatlinburg, and the national park. 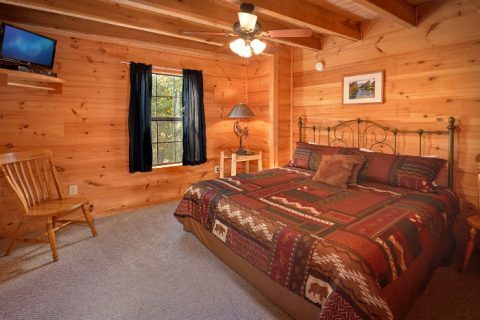 When you aren't busy exploring the region's best sights, you can simply relax at your cabin in a peaceful location. 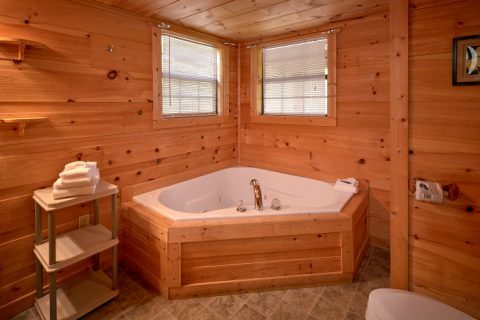 With comfortable amenities like a fireplace, hot tub, and a jacuzzi tub, there are plenty of ways to unwind. 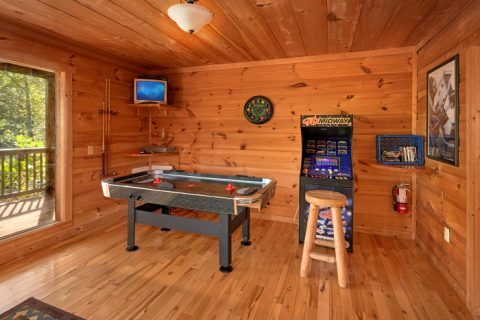 Your cabin's lower level game area comes complete with a pool table, arcade game, air hockey table, and a stereo for great in-cabin entertainment! 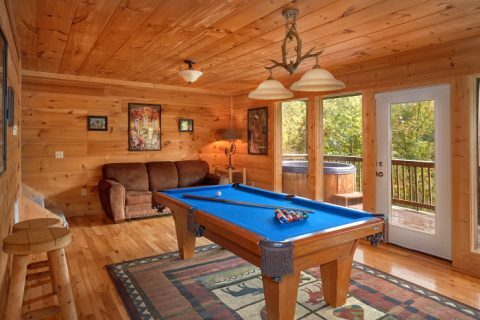 This room's television with a DVD player and a sleeper sofa make this a comfortable place to watch your favorite shows or movies while you practice your pool shot. A door leads to the lower level deck that houses the hot tub. On the main level, there's plenty of room to gather with the people who matter most in the comfortable living room and kitchen area. 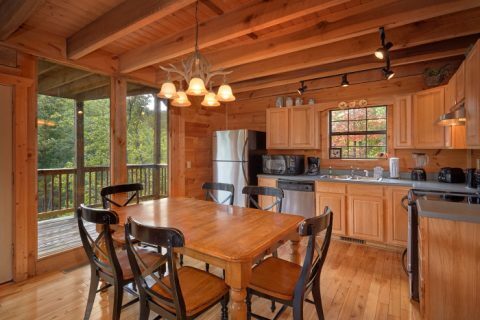 Whether you're enjoying a movie night by the fireplace or fixing a delicious meal in the fully-equipped kitchen, this cabin's open floor plan means the whole group can spend time together. 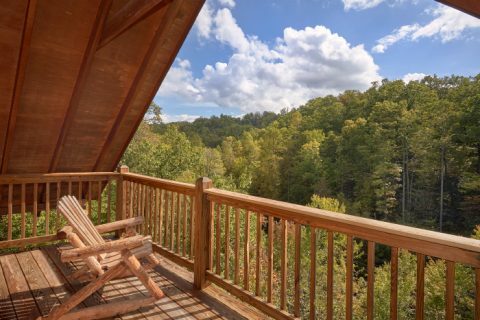 This floor also has access to the main deck that's perfect for enjoying this cabin's treetop views. 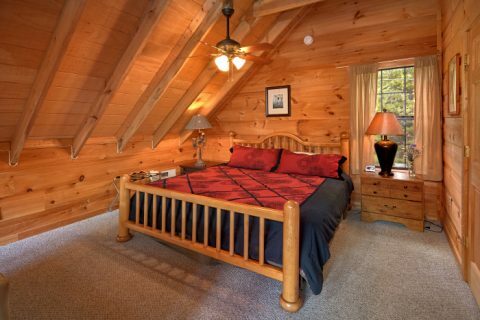 Upstairs, a lofted bedroom comes complete with a king bed, a full bath with a shower only, and access to a private deck. A small sitting area on this floor also has several board games for guests to enjoy. Each of "Falcon Crest's" 3 bedrooms comes complete with a king bed and private television. Additionally, a sleeper sofa in the game room provides extra space for guests. Book your own Sky Harbor cabin online today to save 15% when you stay with Cabins USA! 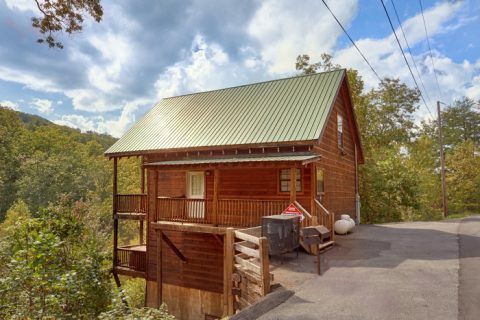 Bring your family and friends to a lovely cabin in the mountains that keeps you close to all the top attractions, while also keeping you tucked away in a quiet mountain setting.